We’d love your help. Let us know what’s wrong with this preview of The UNIX Programming Environment by Brian W. Kernighan. To ask other readers questions about The UNIX Programming Environment, please sign up. You can make poetry out of anything. This book is a stunning example. 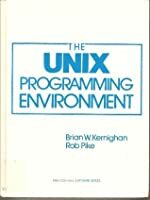 Written in 1984, The Unix Programming Environment introduces the reader to the then middle-aged Unix operating system. The environment described is that of spare text-only terminals, command line prompts, inputs, outputs, and the pipes that connect them. It is from a time when telephones were anchored in place with a wire, before they dropped their cords and became our constant companions, sporting sleek bodies, incorporating lenses, clocks, and music. Yet if you pare away the anachronism there Written in 1984, The Unix Programming Environment introduces the reader to the then middle-aged Unix operating system. The environment described is that of spare text-only terminals, command line prompts, inputs, outputs, and the pipes that connect them. It is from a time when telephones were anchored in place with a wire, before they dropped their cords and became our constant companions, sporting sleek bodies, incorporating lenses, clocks, and music. Yet if you pare away the anachronism there is a philosophy at work in the Unix they present that still holds currency today. The inventors of Unix envisioned information technology as a fluid composition of interconnected operations. The aggregate machine specific to a particular solution is composed of independent parts agnostic of the whole; its structure may be quarried, like pieces of marble stripped from a conquered metropolis, and used to build something new. Sadly, although Unix encourages pillage, there are no civilians to ravage, and no vanquished skulls to pile into pyramids. Maybe in the next version. First of all, the book is incredibly old. If you are a software developer in this world, you will most likely never want to hold books related to your craft as old as this.However, UNIX is a timeless beauty. This book show exactly why. Crunching through the first couple of sections of The UNIX Programming Environment completely refreshed my dusty knowledge on the UNIX system. Apart from receiving practical knowledge with many exercises to hone the newly attained knowledge, the book provide it's r First of all, the book is incredibly old. If you are a software developer in this world, you will most likely never want to hold books related to your craft as old as this.However, UNIX is a timeless beauty. This book show exactly why. Crunching through the first couple of sections of The UNIX Programming Environment completely refreshed my dusty knowledge on the UNIX system. Apart from receiving practical knowledge with many exercises to hone the newly attained knowledge, the book provide it's reader with deep insight on the theoretical, under-the-surface part of the UNIX system. Sadly, the book is very old indeed, after setting us up with the filters and programming the environment, I have felt, that the coming sections will not be very interesting or up to date, and so they weren't. Despite its age, this book remains remarkably relevant to modern Unix systems. It explains many of the tools available on Unix systems. 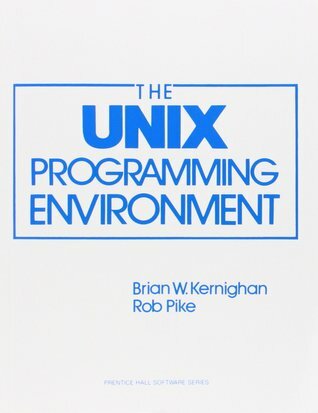 I've seen many updates on twitter expressing surprise at the fact that Unix allows this or that; many of the posters would have done well to read this book as most of what I've seen was covered in this book. Should be read by every programmer new to Linux. 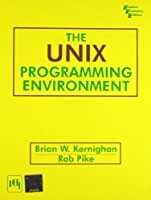 It introduces the underlying philosophy of Unix, something which most new programmers do not understand or practice (observations from 30+ years of teaching computer engineering). Kernighan has always been able to give clear explanations and examples of the Unix philosophy. This is the third time I have read the book and I found it just as useful and illuminating as the first time. I started programming on a Unix system in 1979 with only the V6 doc Should be read by every programmer new to Linux. It introduces the underlying philosophy of Unix, something which most new programmers do not understand or practice (observations from 30+ years of teaching computer engineering). Kernighan has always been able to give clear explanations and examples of the Unix philosophy. Perfectly captures the Unix philosophy of breaking down complex tasks into smaller ones held together by glue code. This book, more than any other, taught me to think the way a programmer thinks. 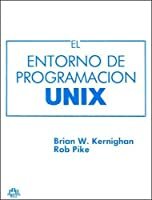 Despite its age (it was published in 1984) most of the examples still compile and run on a modern Unix-like system; a testament to the firm conceptual foundation of Unix. This book captures the spirit of UNIX better than any book I have read. Small, simple programs that do one thing really well glued together. Amazingly powerful and beautiful. This book is the Unix philosophy. It is dated on some important parts, but every utility I noticed still exists today. I picked up my copy for free in the library discards. It's actually quite awesome to see how a book which is almost as old as I am (dated '84) can still be relevant today, certainly if you keep into account that this book is covering a topic in one of the fastest evolving disciplines today. It even has an advantage over more modern books that it's very to the point and technically going very deep. Modern books on Linux/Unix will cover X primarly and will barely touch programming, let alone describe how to use yacc and lex. Well it's a classic, what It's actually quite awesome to see how a book which is almost as old as I am (dated '84) can still be relevant today, certainly if you keep into account that this book is covering a topic in one of the fastest evolving disciplines today. It even has an advantage over more modern books that it's very to the point and technically going very deep. Modern books on Linux/Unix will cover X primarly and will barely touch programming, let alone describe how to use yacc and lex. good stuff, it's a bit dated but it's nice to see the evolution and progress that *nix has made. Also a lot of the tutorials were super helpful. I highly recommend this for anyone looking to become a sysadmin. This is my first contact UNIX. Although most of people have no need to know command line magics, this book is still "MUST" for apprentices of Guru. Just a spell is not enough. To know 'WHY' is the key. This book is nearest place from the source of UNIX, so, full of anecdotes lives here. Written when UNIX was younger, the voice is one of presentation excitement & clarity. A good read for those interested in UNIX history and written by some of the gentlemen who invented it back in the late 60's. An excellent introductory text to the world of the command line, small tools, and Unix. The C programming language, as well as Awk are described. Command shells are demonstrated. A most important work, and well written too. well written and funny in places, nevertheless quite basic and lacking coverage of newer UNIX technologies like sockets (which admittedly lack shell-level tools to manipulate and are more of a systems programming tool). file descriptor juggling is only given cursory coverage. Good book, with a lot of common parts/topics with the C programming Language book. Clear, with good examples. Maybe some parts are too long to be read at one. Really interesting part about yacc and lex. Книга для желающих ознакомиться с базовыми принципами UNIX, от тех, кто стоял у истоков. Философия, архитектура, оболочка, утилиты, средства программирования. Местами слишком поверхностно, местами неоправданно глубоко. Another good book. Read it years ago, while learning Unix. I read this thing in the university. It allowed me to understand how unix is meant to be. Before there was bash, before Ruby or PHP or Python or Perl, before X Windows, there was The Shell. Brian Wilson Kernighan is a computer scientist who worked at Bell Labs alongside Unix creators Ken Thompson and Dennis Ritchie and contributed greatly to Unix and its school of thought.